The traditional Casement style window Is the most popular and versatile window design and offers superb protection against the wind and rain. Hinged either on the side or at the top, casement windows are the most energy-efficient option for most homes, and with a vast range of styles and decorative finishes available, casement windows are designed to complement any house type. Every window comes with a WER ‘A’ Rating as standard. Designed for enhanced energy and thermal performance, our multi-chamber design minimises heat loss through the frame, whilst the Soft Coat glass, warm edge spacer bars and high-performance glazing reflects internal heat back into the home whilst absorbing solar energy from outside. Tough, robust and durable. Our frames are fully welded, internally beaded and steel reinforced for maximum strength, and because they are made to measure, structural integrity. Our windows are also fitted with a high performance multi-point locking mechanism as standard, ensuring the highest levels of safety and security for your home. All window components and hardware are specifically selected and fitted to ensure ease of use and long term performance. Fully sculptured for enhanced visual appeal, Inliten windows are available in a vast range of styles, sizes and opening configurations, with the option of adding Georgian or Astrical bars for a more traditional appearance. 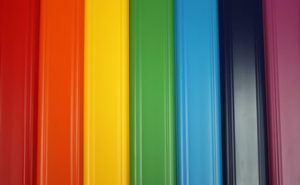 For maximum personalisation, Inliten windows are available in a range of colour options, from authentic grain-effect foils to spray-painted RAL colours. 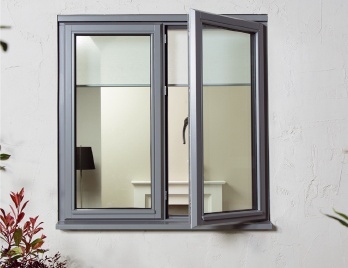 All IDAW frames are fully sculptured for an enhanced aesthetic appearance, marking a positive move away from the straight lines typically associated with PVCu products. The curved, shaped finish of Camden products adds extra character to your windows and doors, ensuring they become a ‘feature’ of your home rather than just a necessity. Our products are designed for use in both new build homes and replacement projects. Advanced manufacturing processes and stringent quality control procedures ensures that all Camden products are flawless in appearance. This is further enhanced by our innovative profile design; all external frame surfaces are lead free and feature 100% virgin PVCu skins. All glazing gaskets are designed to be concealed, ensuring that your view is not obstructed and your product maintains its high standard of performance and aesthetic appeal. Available with 28mm double or 44 mm triple glazing, Inliten’s exceptional levels of energy performance ensure you enjoy savings on home heating bills and reduced carbon emissions. For maximum performance, our high-performance triple glazed windows (fitted with Soft Coat Xtra glass and Argon gas) achieve whole window U-values as low as 0.8 w/m2K.